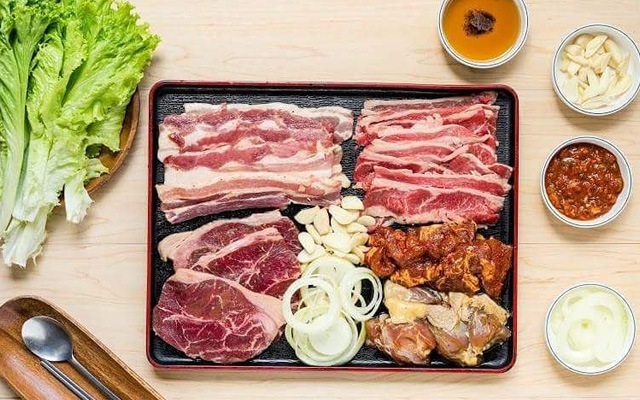 (SPOT.ph) Our unwavering love for Korean barbecue isn’t going away anytime soon—especially now that more and more awesome grilling joints are popping up all over the Metro non-stop. 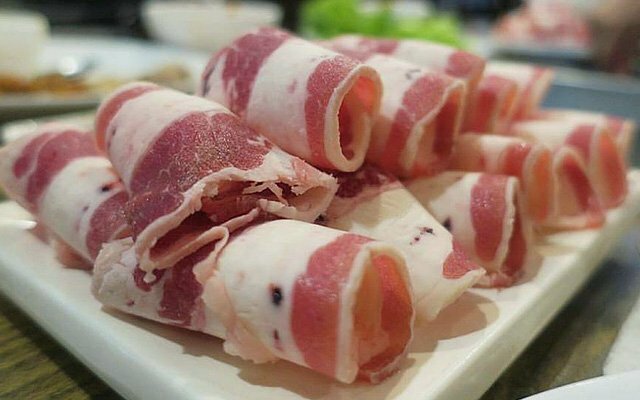 For moments when your appetite for K-barbecue knows no bounds, why not hit up a meat buffet? Newsflash: All-you-can-eat places don’t always have to come with a hefty price tag. 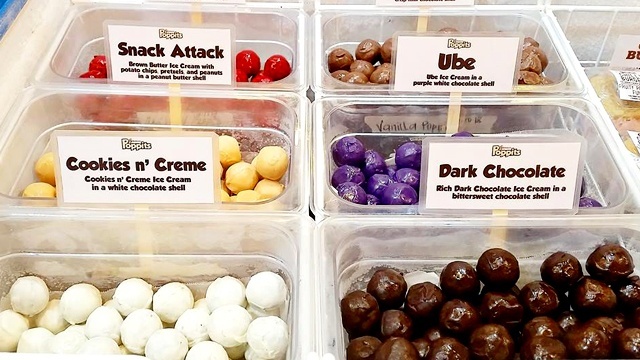 To prove it, here are some places around Quezon City that are sure to satisfy your unlimited pork-and-beef cravings for less than P500. 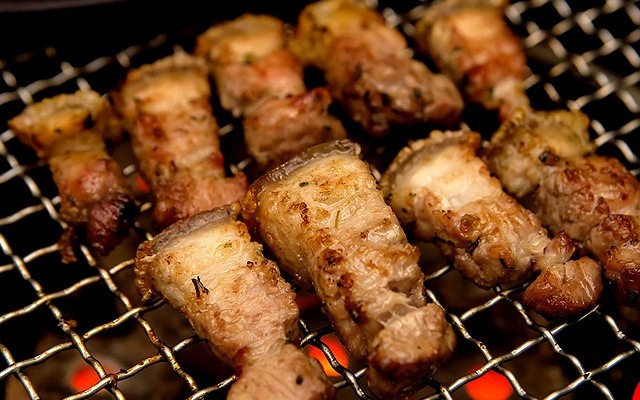 It won’t be hard to find O Ga Ne since it’s one of the most popular and prominent K-barbecue spots in Tomas Morato. Get your meaty fix with their wallet-friendly and all-you-can-eat deals: For only P385, you can get your fill of unlimited Samgyupsal (pork belly), which comes with rice, iced tea, and refillable banchan. If you don’t mind adding a little extra, you can get both their unlimited Samgyupsal and Beef Chadol (shaved beef brisket) for just P499. O Ga Ne is at 303 Tomas Morato Avenue, South Triangle, Quezon City. Sinsun offers great value with their Unli-Mix Meat Set. For just P450 during lunch and P500 during dinner, you get unlimited Samgyupsal, Woo Samgyup (grilled beef), Dwaeji Galbi (grilled pork ribs), and Beef Bulgogi, complete with banchan, rice, and soup. 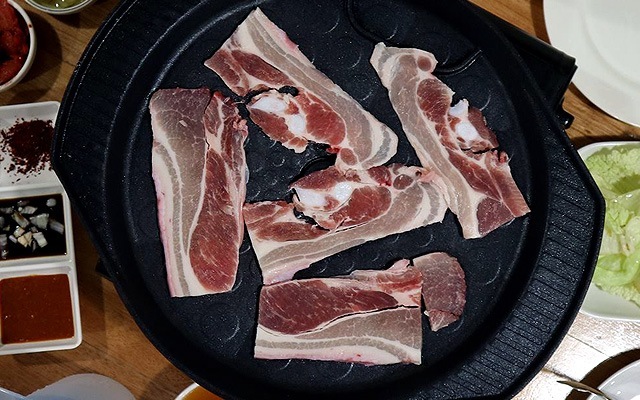 Sinsun also prides itself in their different take on the classic samgyupsal, where they serve pork in thick, juicy cuts that really packs a punch. They also don’t freeze any of their meats before serving, so you can be sure you get all the fresh and delicious meaty flavors every time. Sinsun is at 116B Tomas Morato Avenue corner Scout Lozano Street, Sacred Heart, Quezon City. Outside Romantic Baboy is the cutest statue of a swankily dressed pig that’s just inviting you to come inside. And if that’s not enough to get you curious, then it’ll definitely be the sheer amount of people that are always dining in, and with good reason: For just P499 per head, you get access to their treasure trove of pork and beef cuts. You’ve got your fix of samgyupsal (even a cheesy variant! ), woo samgyup, moksal (pork neck meat), bulgogi, pork ribs, and curry beef. Pro-tip: If you dine in anytime between 11 a.m. and 3 p.m. on weekdays, you get 10% off from your bill! 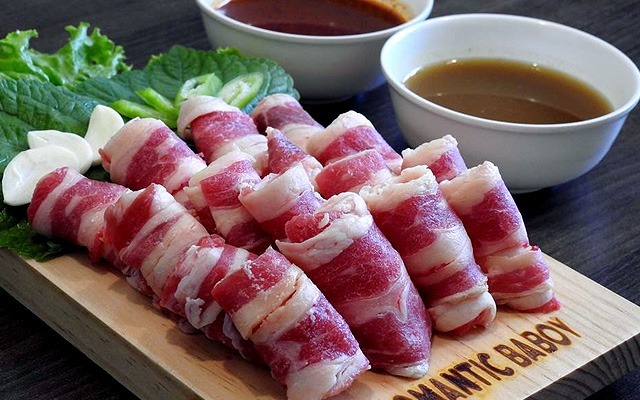 Romantic Baboy is at CKB Center, Tomas Morato Avenue corner Scout Rallos Street, Laging Handa, Quezon City. 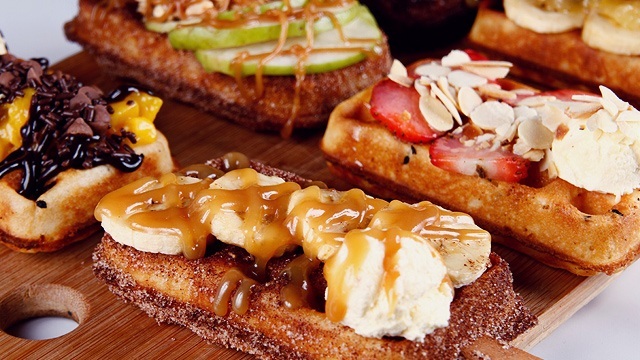 It’s hard to resist Don Day Fresh because of their mean variety of Korean food. Aside from all the pork and beef you can put on a hot grill, there’s all-you-can-eat kimchi, japchae, and other favorite side dishes to go with their protein, too. At only P399 and P499 for lunch and dinner, respectively, this is sure to be a feast you won’t forget (hello, food coma). 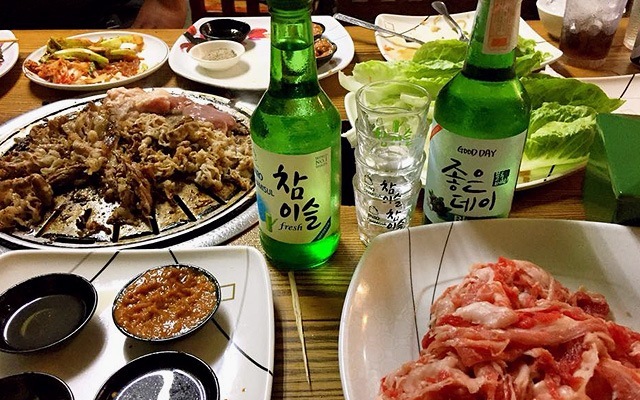 And if you’ve got a little extra cash in your wallet—and space in your stomach—don’t miss out on their selection of soju to really get that full-on K-dining experience. Don Day is at Sunshine Boulevard Plaza, Quezon Avenue corner Scout Santiago Street, South Triangle, Quezon City; and 75 Kalayaan Avenue, Diliman, Quezon City. Eat all the samgyupsal you want for just P349 at Leann’s Tea House—probably one of the cheapest you can find in the Metro. And for just a little more, you can order some shabu-shabu or throw in some Unlimited Woo Samgyup (P449) to go with your pork belly! 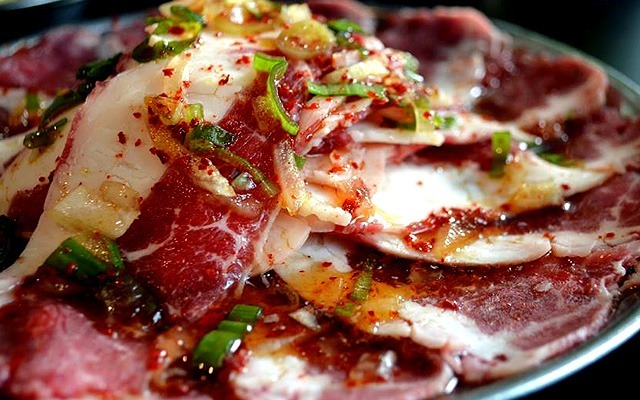 The cuts have just the right balance of meat and fat, and you can grill them to however you like—just be sure to pair them with the restaurant’s homemade kimchi to get a really killer combo. Leann’s Tea House is at 105-R Mother Ignacia corner Scout Madriñan Street, South Triangle, Quezon City. In case you’re wondering where to find Samgyupsalamat, they’ve got two branches in Quezon City so there’s plenty of room for everyone. Although diners love the awesome ala-carte picks off their menu, it’s their unlimited Korean barbecue that’s the star of the show. You can enjoy a feast of these meaty treats at just P399, with unlimited pork, and P449, with unlimited pork and beef, between 11 a.m. to 3 p.m. and P449, with unlimited pork, and P499, with unlimited pork and beef, from 3 p.m. to 2 a.m. All buffet orders come with bottomless rice, banchan, and soup, of course! See a list of Samyupsalamat branches. It’s hard to find a K-barbecue place that can sate those midnight grilled-meat hankerings, but luckily, there’s HwaRoRo on your side. Their grill-all-you-can promo starts at only P399 and comes with all kinds of Korean goodies, from kimchi to kimbap. Next time your friends ask, you already know where to head to when you’ve got the after-drink cravings as they’re open until 12 a.m. daily. HwaRoRo is at 76 Scout Tobias Street, South Triangle, Quezon City; and Kalayaan Plaza, 89 Kalayaan Avenue, Diliman, Quezon City. At just P249 for their unlimited grilled pork, Koreyan Unlimited BBQ’s offerings come at an affordable price tag that’s hard to beat. This also includes tasty side dishes like fresh vegetables and kimchi, so you can’t go wrong here. You might even notice that the banchan have a very unique take, as they’re customized to suit the Filipino palate. But don’t just take our word for it—you’ve got to try everything yourself to believe. Koreyan Unlimited BBQ is at Aguila Glass, Commonwealth Avenue, Santa Monica, Quezon City. 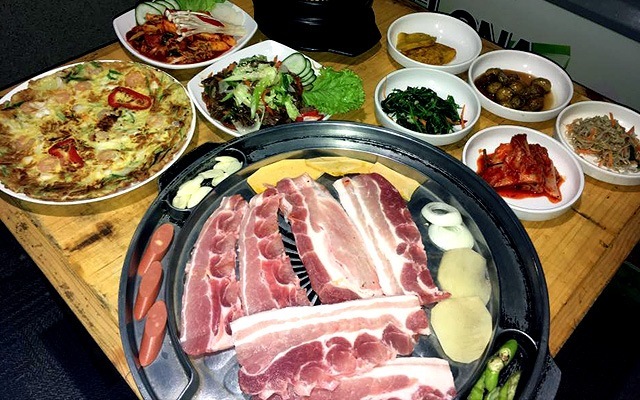 UKB, or Unlimited Korean Barbecue, is another clear winner as it’s the most wallet-friendly option in this list. Their bottomless samgyupsal unbelievably starts at only P199 per head. Meanwhile, you can also have their all-you-can-eat grilled salmon, Wagyu, pork, and beef for just P499—not bad considering it also comes with refillable rice and side dishes. Do yourself a favor and spare a meal here. 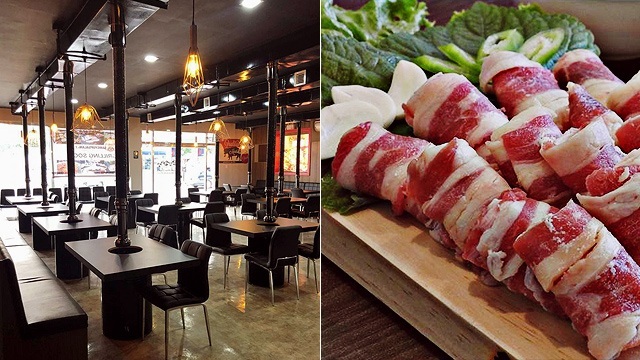 UKB Unlimited Korean BBQ is at Lot 14 Congressional Avenue Extension, Pasong Tamo, Quezon City. 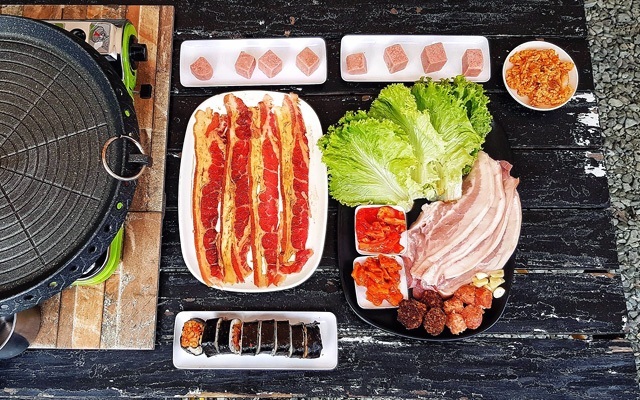 Samgyupsarap brings an interesting combination of Korean, Filipino, and Chinese flavors into their meals, so you’ll definitely sense some familiar flavors even if you’re new to the whole K-barbecue scene. With their eat-all-you-can orders, like Samgyupsal (P365) and Samgyupsal and Woo Samgyup (P495) it’ll be hard to choose. The grilling joint even has some popular Korean street food in the menu, like tteokbokki (stir-fried rice cakes) and kimbap. 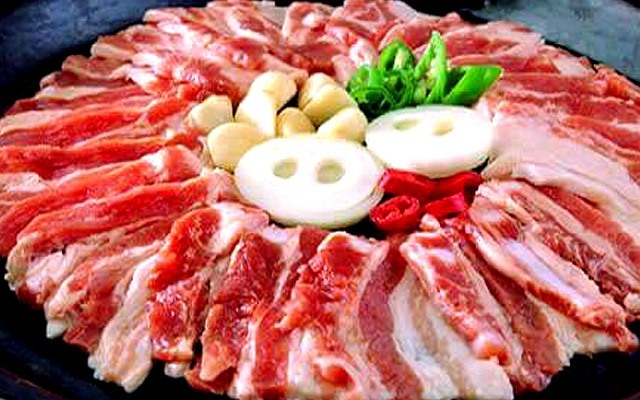 Samgyupsarap Korean BBQ Grill House is at 1222-1224 De Los Reyes Street, Sampaloc, Quezon City.